Dorothea is an Associate working across all areas of the commercial music and entertainment practice at Bray & Krais. 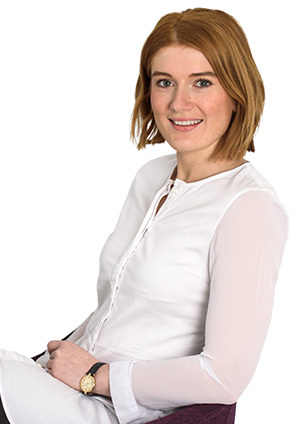 Dorothea began her training at London media and entertainment law firm Davenport Lyons, before moving to Bray & Krais. She graduated with a BA in English, before completing the Graduate Diploma in Law and the Legal Practice Course with Distinction. In 2013, Dorothea obtained a Postgraduate Certificate in Intellectual Property from Queen Mary University of London. Dorothea acts for a wide range of clients throughout the music and entertainment industries, with a particular interest in advising emerging talent and developing projects. She is based in London but has eyes and ears on the scene outside the capital, including connections to the north of England. Her clients include British, European and international artists, songwriters, producers and performers, who she seeks to assist on a long-term basis as their careers progress. Dorothea regularly advises on recording, publishing, management, and producer/mixer agreements, as well as providing bespoke advice on new and innovative business models and commercial arrangements. Drawing on previous experience as a Trade Mark Attorney, Dorothea regularly advises on the protection, enforcement and exploitation of trade marks, copyright, designs, and domain names (contentious and non-contentious). Dorothea also has a strong awareness of commercial branding and rights exploitation from roles in journalism, literary publishing, promotions, marketing and retail.